A card for Dad using a digital image. I find I am using digital images more often these days. A cute image from a Crafters Companion CD. I coloured the image with Copic pens. 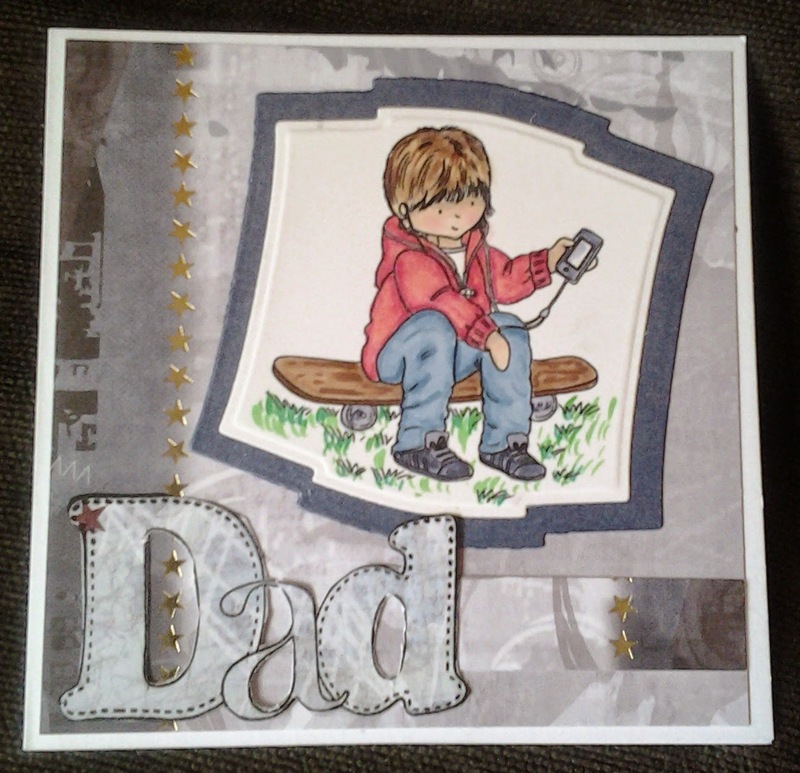 I came across the Dad stamp in the range last week, it is from the Docrafts Papermania range. I can see me using it a lot. Spellbinders Labels two die was used to cut out the image and the card to mount the image. Card from the Camden Town range was used for the backing card and I also stamped the Dad word on a scrap piece from the Camden Town range. Camden Town card from Crafters Companion. Thanks for joining us this month over at Crafting Musketeers challenge blog.